That is the recommendation in the updated draft management plan for the park, which will be the focus of a March 2 public meeting in Sarasota. The session will begin at 5 p.m. in the Activity Center of the Suncoast Community Church, located at 8000 Hawkins Road. A presentation of the proposals is scheduled for 5:30 p.m., according to FDEP. The updated plan would be in effect for 10 years, according to the state’s Division of Recreation and Parks. 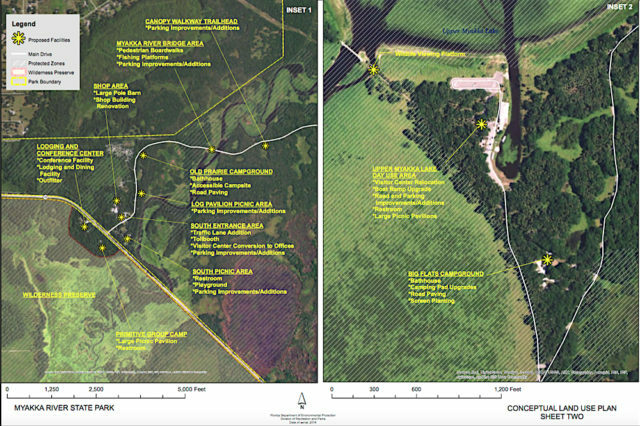 The document does call for the conversion of the former STOP Camp area to “a revenue-generating use that is compatible with the Florida Park Service mission.” Because of the park’s proximity to “prosperous urban centers of southwest Florida,” the draft says, that area is “very suitable for the location of a premier ecotourism center. This concession-operated facility would be equipped with an auditorium and conference rooms along with lodging and dining opportunities for individuals, organizations, and tour groups from around the world.” Its estimated cost, the draft says, is $4 million. 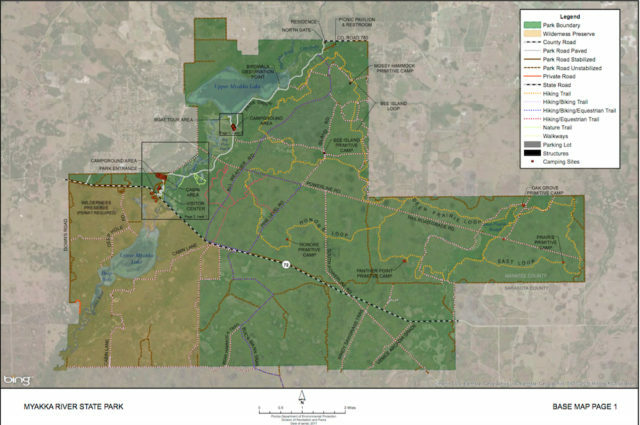 On a smaller scale, the draft proposes expanding the park’s picnicking opportunities with the addition of pavilions in the Clay Gully Picnic Area and the Upper Myakka Lake Day Use Area, as well as expansion of wildlife observation activities through the construction of a new visitor center and viewing platform within the Upper Myakka Lake Day Use Area. If this draft plan is given final approval, the document explains, it will replace the management plan adopted in 2004. As the draft explains, the park is located east of Sarasota, with its land divided between Sarasota and Manatee counties. Access is provided on State Road 72, 9 miles east of that road’s intersection with Clark Road; and on State Road 780, but only on weekends and holidays. 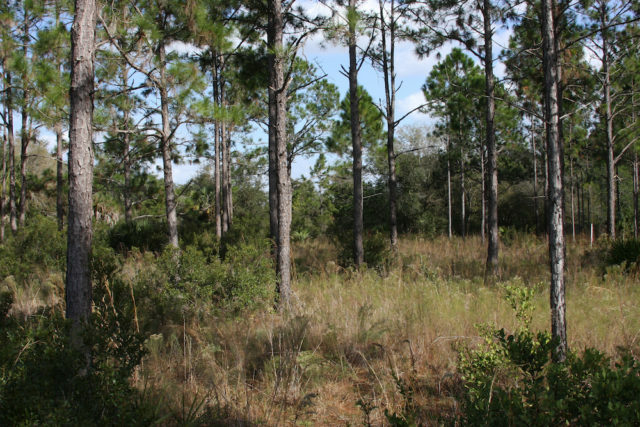 The Florida Board of Forestry initially acquired the property on June 23, 1936, the draft plan says. On Jan. 23, 1968, the Board of Trustees of the Internal Improvement Trust Fund leased the site to the state’s Division of Recreation and Parks, which is part of FDEP. The total area of the park is 37,198.91 acres, the draft notes. 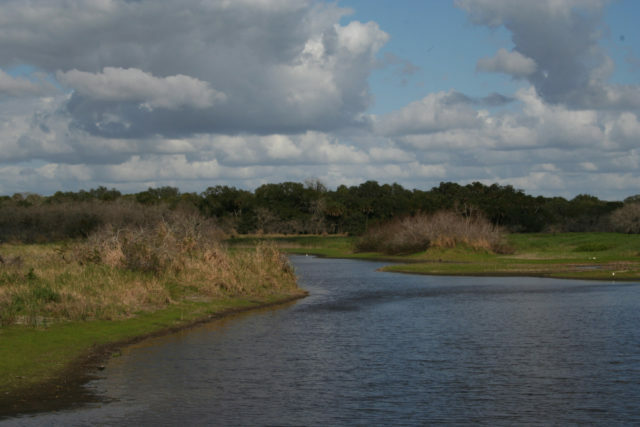 “The purpose of Myakka River State Park is to preserve the natural beauty, wildlife, and historical features of this property, to serve as an important link in the chain of protected lands in the southern portion of the state, and to provide outstanding outdoor recreation and natural resource interpretation for the benefit of the people of Florida,” the draft adds. “The park provides habitat for numerous imperiled wildlife species,” the draft continues. 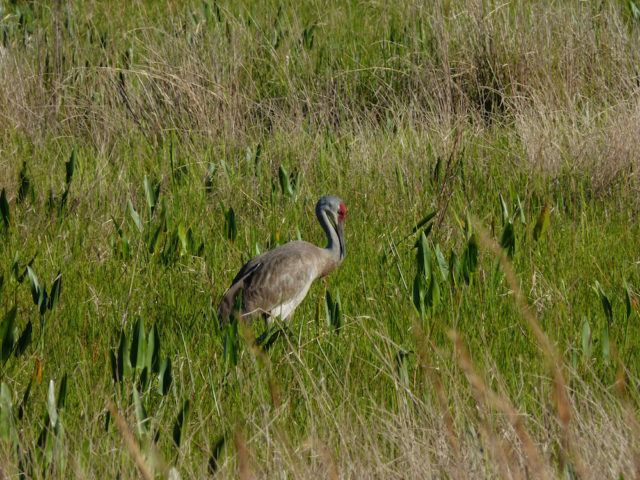 Among them are Audubon’s crested caracara, the Florida sandhill crane, the little blue heron, the gopher tortoise and Sherman’s fox squirrel. Florida black bears, Florida panthers and manatees also have been documented within the property, the draft notes.